The Fountains Care Centre in Rainham is a 62-room facility with the capability to cater to numerous care types, including elderly care, end of life care, respite care, nursing care and 24/7 residential care. 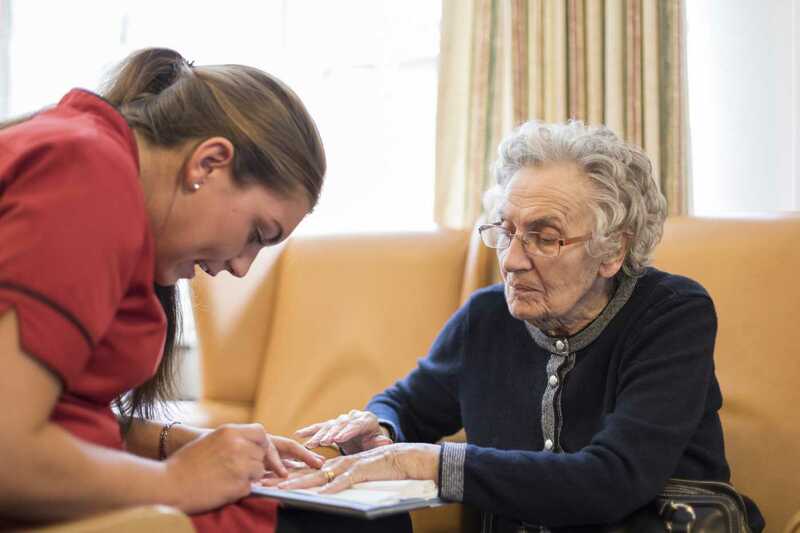 Specialising in care for those with dementia, Alzheimer’s and other mental health issues, the care centre is dedicated to tailoring care to each resident. Managing a team of registered general nurses and health care assistants, Sonia Kasese oversees a multicultural team which can speak English, German, Spanish and French. 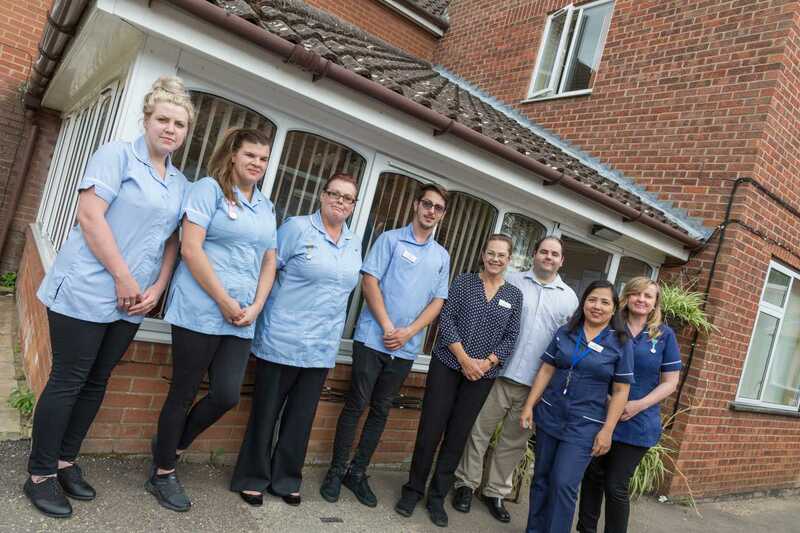 The qualified and caring team at The Fountains Care Centre work around the clock to provide personalised care in comfortable surroundings. The care centre has secure outdoor areas with pathways and seating areas for residents to enjoy in good weather, while food is prepared by a chef on a daily basis, with the ability to tailor dishes to meet preferences and dietary restrictions. All rooms come with an en suite washroom, access to the internet and a phone point. 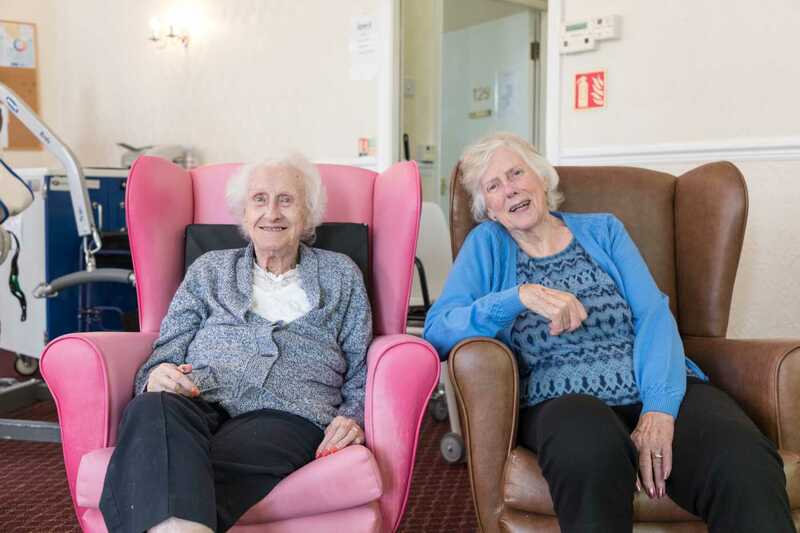 Staff at the centre provide a regular schedule of activities to keep residents entertained and active, with a book club and baking club also open to everyone. There are regular trips arranged for those capable, including excursions to the seaside, museums and flower gardens. Residents can visit the local area alone, with staff or with family and friends depending on individual needs, and there are plenty of local amenities to enjoy. Wheelchair access at the facility is provided and there is allocated visitor parking. 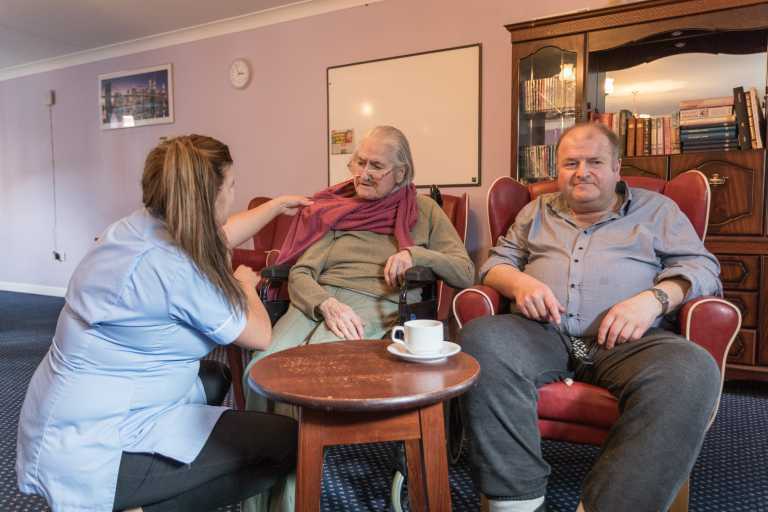 Visiting hours for family and friends at The Fountains Care Centre are flexible to allow for easy and convenient visits with residents. 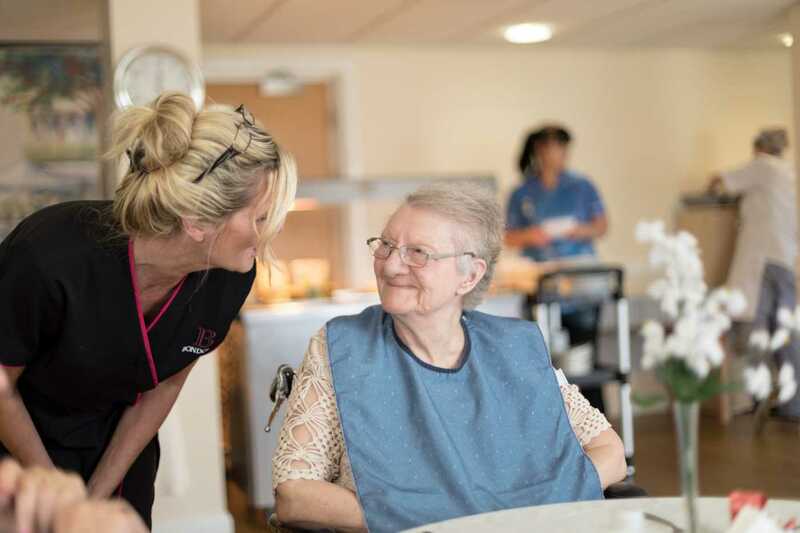 We understand that you need to find the right place for you or your loved one to live, which is why we’re always happy to answer any questions and queries you may have. Simply contact us today, visit the home person or get in touch to request a brochure featuring more information.